As if these two weren’t already major #relationshipgoals, they definitely are now. Kylie Jenner and Tyga wore matching varsity jackets, and you can copy their look with your bae to make for one cool couple’s costume. You heard me — why wouldn’t you want to channel your inner Kyga (let’s see if we can make that a thing, OK?) and have some major swagger on Halloween? If you’re anything like me, you’re already texting your significant other telling them about the brilliant idea you just had for a costume — you know, not to brag or anything. If you think about it, the whole idea of wearing matching letterman jackets is key because then it will look like you and your SO are on the same team, and if that’s not the cutest thing then I don’t know what is. 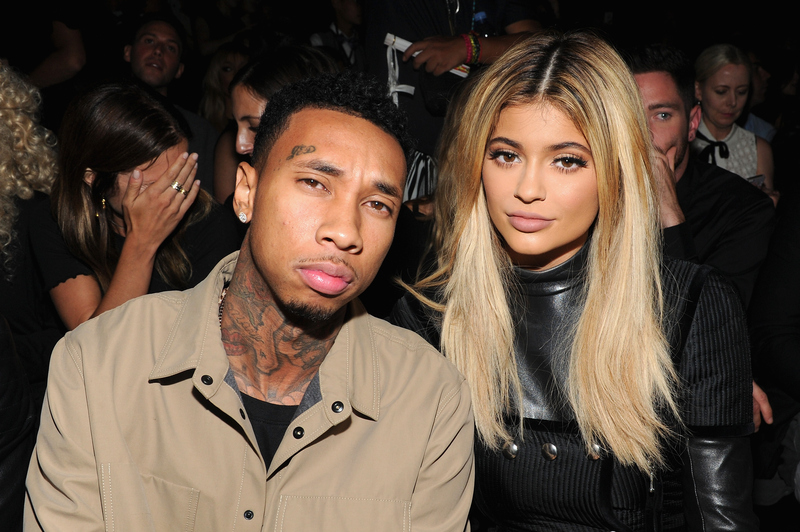 Jenner and Tyga happened to rep their names on each of their jackets, with Kylie wearing a “K” and Tyga wearing a “T,” but you and your better half could always wear each other’s initials for added adorableness. Throw on jeans and a pair of sneakers, and you’ve got your costumes sorted. Let this couple show you how it’s done, and then see how you can recreate the look for yourself. You both can literally match with this unisex jacket option. Be sure to hit up Amazon for some cool custom letters, because what's a letterman jacket without the letters? Shopping brands such as Adidas, Converse or New Balance is the way to go because they have styles that work for both men and women. Halloween à la Kyga? Don't mind if I do. Want more Kardashian beauty tips? Check out the video below, and be sure to subscribe to Bustle’s YouTube page for more hacks and tricks!